A step-by-step guide on how to become a paralegal. Step 1: Is being a paralegal for me? Is being a paralegal for me? Are paralegals happy with their careers? Still unsure if becoming a paralegal is the right career path? Take the free CareerExplorer test to find out if this career is in your top matches. Perhaps you are well-suited to become a paralegal or another similar career! The vast majority of paralegal training programs require that students have earned a high school degree or equivalent. Some educational institutions require that program candidates take the Scholastic Assessment Test (SAT) or the American College Test (ACT). While in high school, prospective paralegals should pay particular attention to communications and writing courses. While some firms will hire candidates with a two-year Associate’s Degree, the [National Federation of Paralegal Associations (NFPA)](https://www.paralegals.org/i4a/pages/index.cfm?pageid=3268 states that employers are increasingly seeking out paralegals with a four-year Bachelor’s Degree. The NFPA advises students to enrol in a program accredited by the American Bar Association (ABA). Litigation Paralegals prepare and organize legal documents for trial purposes. They conduct research for their supervising attorneys and maintain client documents. Corporate Paralegals track and review government regulations and assist lawyers in drafting employee contracts, shareholder agreements, and stock-option plans. According to the American Association for Paralegal Education (AAfPE), all paralegal training programs should incorporate an experiential learning component, such as an internship, practicum, or clinical experience. It is not uncommon for law firms, government agencies, and corporate legal departments to establish partnerships with paralegal programs to offer these hands-on experiences to students. Internships also provide future paralegals with the opportunity to see if a particular specialty is the right choice for them. In addition, it often occurs that students find their first job with the company or firm with which they interned. It is important for newly graduated paralegals to recognize that their job market extends well beyond law firms. Currently, there is no legislated formal registration, certification, or licensing requirements for paralegals. This has resulted in the establishment of several voluntary credentials. 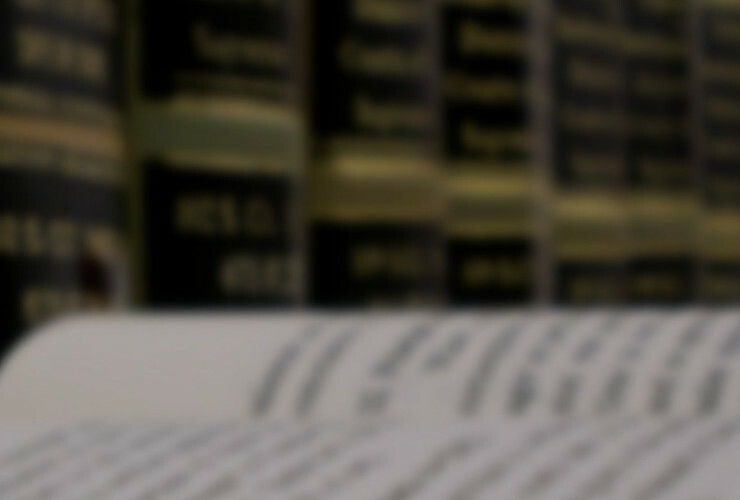 Many large law firms and corporations require that their paralegals get certified. The National Association of Legal Assistants (NALA) offers the Certified Paralegal (CP) credential. The National Federation of Paralegal Associations (NFPA) offers the Core Registered Paralegal (CRP) credential and the advanced Pace Registered Paralegal (RP) credential. The Association for Legal Professionals offers the Professional Paralegal (PP) credential. The American Alliance of Paralegals, Inc. (AAPI) offers the American Alliance Certified Paralegal (AACP) credential. Paralegals rank among the least happy careers. Overall they rank in the 12th percentile of careers for satisfaction scores. This strikingly low happiness quotient may be related to the fact that paralegals find themselves in a very particular professional space. They are without question an indispensable part of every legal practice; yet their role is by definition subordinate, often subservient to that of the lawyers with whom they collaborate. Based on our pool of users, Paralegals tend to be predominately investigative people. This finding is supported by the detailed work that these professionals do. They conduct legal research, write reports, draft pleadings and motions to be filed in court; and prepare documents such as wills, contracts, mortgages, and separation agreements. All of these duties, at some level, demand an analytical, exploratory, and investigative mindset. Communication The role of paralegals requires that they frequently interact with their supervising attorneys, clients, legal experts, vendors, witnesses, court reporters, opposing counsel, and other parties. Almost every aspect of their work calls for effective communication skills. They are the essential liaison between the many parties involved in legal proceedings. Writing Concise and persuasive writing is integral to the paralegal role. Litigation paralegals draft and edit correspondence, pleadings, discovery, motions, briefs, legal memorandums, and other documents. Transactional paralegals write resolutions, agreements, and contracts. In simple terms, a good paralegal is a good writer. Research and Investigation Research, of course, is fundamental to an effective law practice. The ability to conduct Internet research and effectively use legal research databases is central to the work of paralegals, who are commonly charged with analyzing case facts and citing legal authority. Closely aligned to research skills are investigative skills, which paralegals apply to their work uncovering medical records and evidence and finding documents and witnesses. Technology The technology skills required by paralegals are wide-ranging. They must be familiar with ands comfortable using word processing, spreadsheets, telecommunications, databases, and legal research software. Organization Litigation and legal transactions generate vast amounts of documents and data. It is the responsibility of the paralegal to categorize, manipulate, and organize all of this information. Multitasking Consider the many tasks that can make up a day in the life of a paralegal: Handle several tasks concerning multiple cases led by multiple supervising lawyers. Interview a witness. Communicate with a client. Learn a new database. Train a co-worker. Research a legal issue. These diverse duties can only be managed by someone who is an accomplished multitasker. Teamwork The very name of this profession speaks to its collaborative nature. The prefix ‘para’ means ‘beside.’ Paralegals work beside other legal professionals; not independently of them. Their responsibilities require that they consistently communicate, liaise, and collaborate not only with supervising lawyers, but also with partners, associates, fellow paralegals, legal secretaries; and outside parties including clients, opposing counsel, and experts from various professional arenas. Attention to detail For paralegals, attention to detail is paramount. 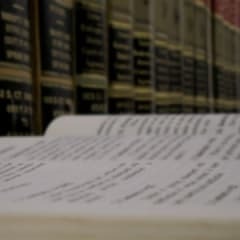 Mistakes in citation (verifying legal authority in briefs and memos), title searches, exhibit numbering, and other inaccuracies can seriously impact a legal proceeding or result in the loss of case or even a malpractice suit. Quite simply, there is no room for error in managing legal documentation, tracking filing deadlines, and working with court scheduling. The most common pathway to a paralegal career includes a Bachelor’s Degree, an internship, and professional certification. According to the National Federation of Paralegal Associations (NFPA), paralegal education programs exist at the certificate, Associate’s Degree, and Bachelor’s Degree levels. There are also post-baccalaureate certificate programs that allow individuals with a Bachelor’s in a different discipline to earn the required credits and certification to work as a paralegal. Some schools offer Master’s programs in the field as well. Curricula in paralegal studies typically combine courses in legal terminology and documents, legal research, court procedures, and applicable technology with other academic subjects. Many training programs also incorporate an internship with a private law firm, a corporate legal department, the office of a public defender or attorney general, a government agency, or a legal aid organization. These internships can last up to several months. Although most U.S. states do not have any licensing requirements to become a paralegal, the NFPA recommends that students choose a paralegal education program that is approved by the American Bar Association (ABA). Completing a program of study that either meets or exceeds ABA standards is seldom, however, the end of the learning path for paralegals. Many local and national paralegal organizations offer continuing education opportunities and voluntary professional credentials or certifications. While hiring criteria differ among employers, top-tier law firms commonly seek out job candidates who have earned either a Bachelor’s in paralegal studies or have supplemented a four-year degree in another field with a paralegal certificate. In rare cases, employers may hire college graduates with no legal education or experience and train them on the job. In these instances, though, the new-hire usually brings experience in a specific technical field that is useful to law firms, such as criminal justice or tax preparation. Similarly, a law firm specializing in personal injury may look for a paralegal who also has a background in health administration or nursing.